From the Khastegaree (courting and proposal) to the Mehmooni (reception party), there are various elements that make a traditional Persian wedding ceremony unique. At Lin & Jirsa, we understand the importance of each of these elements and appreciate that our Aroos (bride) and Damad (groom) have invited us to be a part of a momentous occasion. The Aroosi lends itself to effortlessly blend with Western traditions because it is comprised of two parts: Aghd (the wedding ceremony) and Mehmoonee (the wedding reception). A joyous and intimate celebration, the Aghd illustrates the blending of two families through the exchanging of the vows, wedding rings and sharing of the Sofreh Aghd elements. Easily, the most prominent and perhaps the most important element of the Persian wedding tradition, the Sofreh Aghd (wedding ceremony table spread) compiles several symbolic elements. See more Sofreh Aghd details here. From the Sofreh to the reception, we know you have spent time hand selecting every detail of the wedding, including your own bridal details. One of the first things we do when we arrive is photograph the wedding shoes, outfits, jewelry, and bouquet. Choosing simple yet interesting backgrounds, we strive to showcase the wedding accessories. Understanding the importance of each element ensures we capture the memories our Aroos and Damad look for. Because we have immersed ourselves with the Persian culture, we strive to highlight pivotal moments of the couple and the ceremony. From interacting with the Sofreh Aghd to showering the couple with Noghl (sugared almond pieces). You have spent months planning and prepping for your wedding and once you see your wedding ceremony site in person, it will be full of your guests. We capture these details in their unaltered state so that you can look back and see all of the wonderful and symbolic details of your ceremony. From the sugar cones to the honey to the reflection in the mirror to the first kiss, at Lin & Jirsa we are mindful of the various cultural nuances that make the traditional Persian wedding uniquely yours. The intimate ceremony is typically followed by a grand party – the Jashn e Aroosi. The Jashn e Aroosi (Persian wedding reception) carries the same theme and ambiance as the Aghd and the perfect time for the newlyweds to celebrate with their family. Similar to the Aghd, the reception reflects harmony and prosperity through the intricate details and we like to arrive before guests to take detailed photos of the room completely empty. 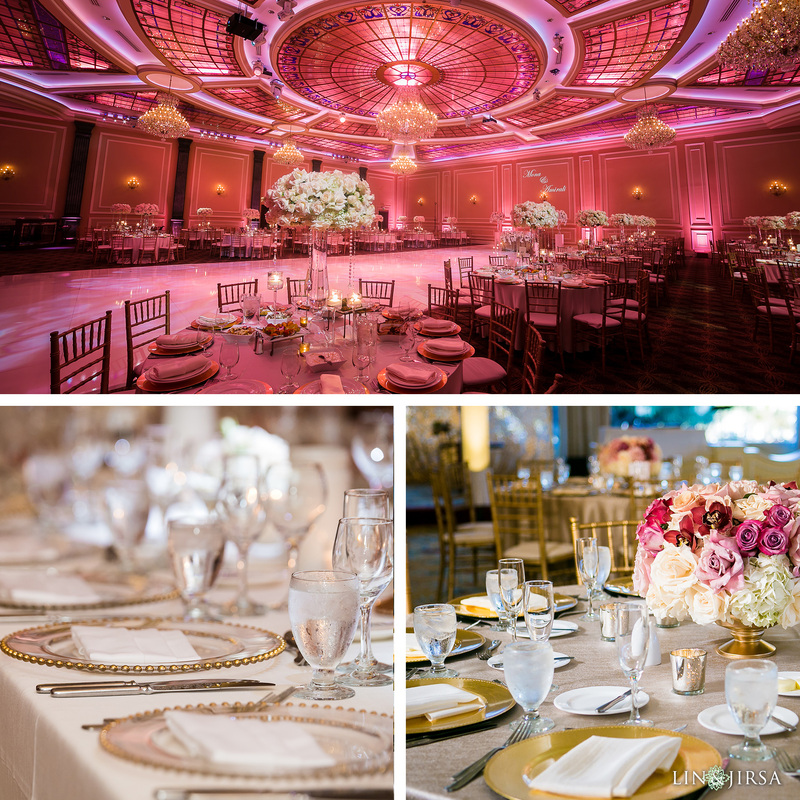 Using our lighting techniques, we strive to capture the ambiance and mood of the reception. 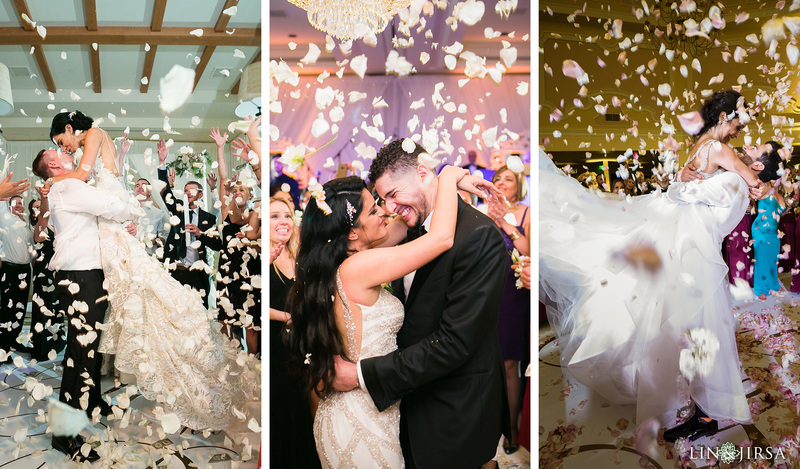 As guests trickle into the wedding reception, we look for journalistic moments that will capture the essence of the party and anticipate all of the exciting moments. For example, when the Aroos and Damad cut the cake, we keep an eye out for someone who may spontaneously steal the knife. The battle over the knife provides the perfect opportunity to capture candid smiles and reactions. Please contact us if you’re interested in hiring us for your Persian Wedding! We would love to be a part of your special day. Contact us here.